Since ancient times furniture makers have used animal hides over furniture and beds. Leather has been valued for its natural beauty and durability. Because of the intensive process of tanning, leather is used high-end furnishings. Some leather furniture is treated in this process to maintain moisture and suppleness. Older leather upholstery may need help to maintain its durability and beauty. Treat leather like what it is: a skin that can dry and crack without the right care. 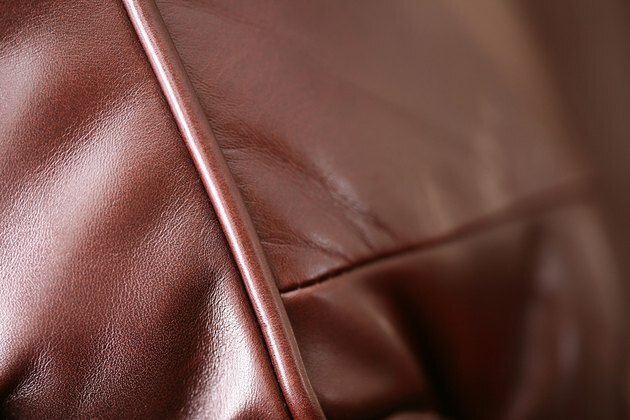 Keep leather looking supple with regular care. Restore the luster and clean newer leather furniture by using a little castile soap rubbed onto a damp cloth. Rub the damp cloth quickly over the leather. Buff with another damp cloth before rubbing dry with a clean cloth. Add conditioner to a clean microfiber cloth. Carefully wipe down the entire sofa with the towel and conditioner. Scrub any marks on your sofa with the same conditioner or leather cleaner. Wait five minutes and wipe the sofa with a dry microfiber towel to wipe up the excess conditioner on the sofa. Repeat this process at least two or three times a year.